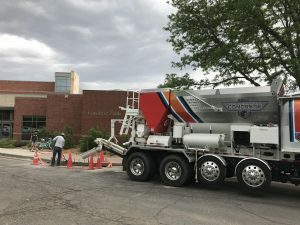 On-Demand Concrete has been helping its commercial and residential customers with sidewalk installation and homeowner projects recently. The Loveland Public Library needed part of their sidewalk and curb replaced. 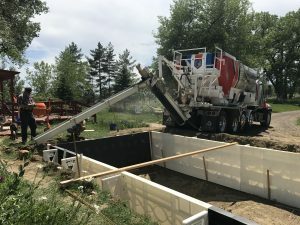 Another homeowner needed cement for their project and had a small area to get too. 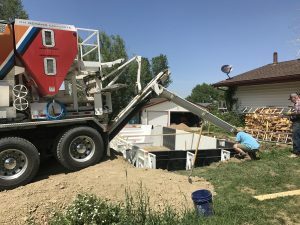 With our innovative technology we helped this homeowner figure out how to get the cement to his project with very limited access and without the cement getting hot or weak. Once we arrived we determined what strength and mixture the customer wanted. We mixed the cement on site so it would be fresh and it only takes a minute to mix. After mixing we can then pour the cement where the customer wants it, exactly how much the customer wants, no waste! For homeowners and business owners this is very nice because they are paying for exactly how much they use. 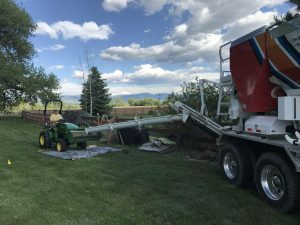 No cement wasted and no extra cost with our volumetric cement truck. Whether your project is big or small or hard to reach we can do it with On-Demands Volumetric cement truck.